Destination weddings in charming tropical surrounds of Hua Hin. Weddings at Anantara Hua Hin Resort are as intimate or lavish as you please. Hold a Thai engagement ceremony in a contemporary sala. Exchange vows on a beachfront lawn with the ocean a stunning backdrop. Celebrate into the night with ballroom feasting and dancing. Discover exciting benefits in every Hua Hin wedding package by Anantara. 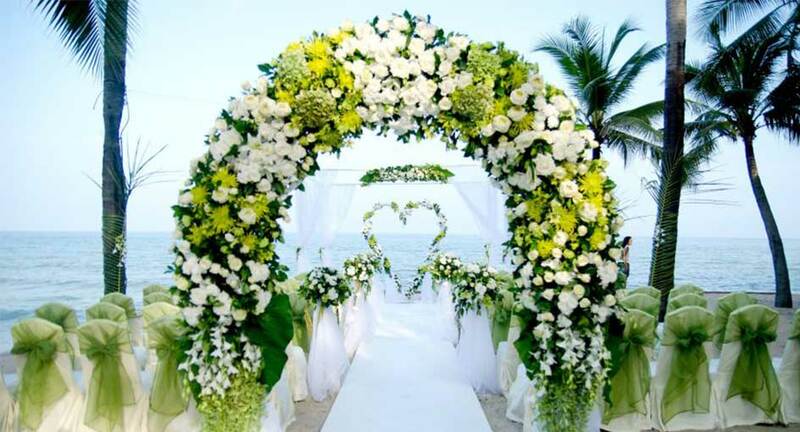 Views of the ocean are perfectly framed by floral arches and billowing white canopies. Say I do, then celebrate under the stars. The ballroom features an elegant neutral palette, to be decorated with your choice of theme colours and floral arrangements. A traditional Thai pavilion decked in contemporary colours and motifs, ideal for both day and evening ceremonies.